What is the Wellness+ Membership? Wellness+ is an exciting new program designed for us to partner with you on your wellness journey like never before. Not only do you get amazing perks while you shop, but you now have access to a team of wellness experts to further optimize your health.  Our primary goal is to partner with you on your wellness journey. We are overjoyed to introduce a few new ways that we can make this possible on a deeper level: Wellness Consultations and our Weight Loss Clinic! With the Wellness+ membership, you will receive two free one hour sessions the Wellness Consultants or Dietitian. Also, you will have one month free access to our Weight Loss Clinic, this includes up to four free visits to get you started on a customized weight loss plan. These services combined would save a Wellness+ member $200! All wellness consultants are certified health coaches and are trained to provide guidance on supplementation, nutrition, fitness, emotional well-being, and more. In your sessions, your wellness consultant will discuss your health history, your current goals, and how to help you achieve those using a holistic approach. Our Weight Loss Clinic is operated by our Registered Dietitian, Courtney McMahan. She has a unique and effective approach to weight loss that is attainable and free of the baggage that most cookie cutter plans involve. With the Wellness Rewards program, a percentage of each transaction will be returned to the member’s account. As a Wellness+ member, you earn double the amount of rewards of our classic members. That’s 5% back! Credits will accrue in each member’s account and will be deposited after every transaction. At Nutrition World, we strive to always provide the best service along side the best prices. We offer everyday low pricing to all of our customers. Additionally, as a member, you will get even extra discounts on top of our already low prices on many of the items we carry along with other exciting offers throughout the year. The Wellness Corner is home to some of Chattanooga’s elite, holistic health practitioners and resources. Nutrition World is thrilled to be a part of this group and offer some amazing perks with the partners in The Wellness Corner to you as a part of your membership. Members will each get a coupon book valued at over $400 to use the services of our many practitioners. You will receive 10% off events at Nutrition World. Just enter in your promo code when you buy your ticket to get your discounted rate. In addition to the Wellness+ Membership, we have another option for those of you that still want some perks, but may not want all of the offerings of the Wellness+ membership. For just $10 per year, our Classic Membership offers its own set of benefits. Both of our membership options offer Wellness Rewards as credit towards future purchases. As a classic member, you will receive 2.5% back on your purchases! We offer everyday low pricing to all of our customers. Additionally, as a member, you will get even extra discounts on top of our already low prices on many of the items we carry along with other exciting offers throughout the year. All members will have access to one free weigh in on our SECA medical grade body composition analyzer. The non-invasive machine tests numerous things such as: body fat, visceral fat, muscle tissue, hydration, and phase angle.